HCM City (VNA) – The Investigation Police Department for Drug-Related Criminals under the Ministry of Public Security has issued a decision to start legal proceedings for a major drug trafficking case involving four defendants, including one Chinese national, for the illegal transporting and smuggling of drugs. The four are Huang Zai Wen, 52, from China; Thao A Do, 37, from Dien Bien province; Thao No Pao, 45, from Dak Nong province; and Ly A Vu, 32, also from Dak Nong. Previously, on March 20, the Investigation Police Department for Drug-Related Criminals collaborated with other agencies to break a trans-national drug trafficking ring, seizing 11 suspects, including eight Chinese and three Vietnamese, and 300 kg of illegal drugs. 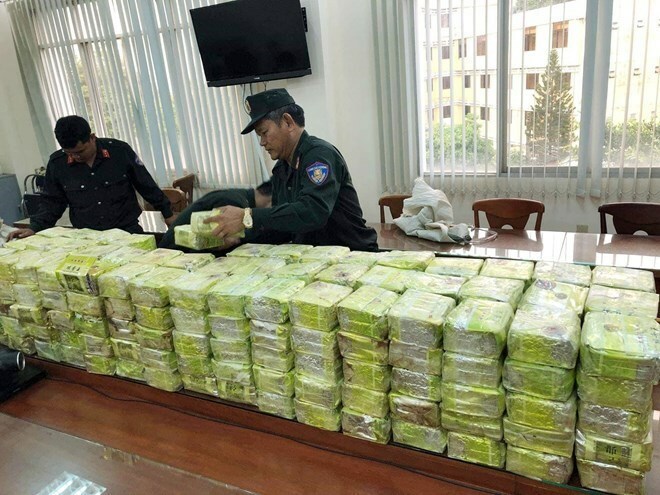 Thao A Do, Thao No Pao, and Ly A Vu transported the drugs by car from Bo Y border gate in the Central Highlands province of Kon Tum to Ho Chi Minh City and handed over the goods to Huang Zai Wen at Hashan company, located in Binh Tan ward of Ho Chi Minh City. The drugs were supposed to be loaded into a container under the camouflage of PP plastic granules to be sent to Taiwan (China). The suspects were arrested while handing over the drugs at 1:25pm on March 20.